Mr Bru Cru: The 20/20 Experience (2 of 2) : Track listing. 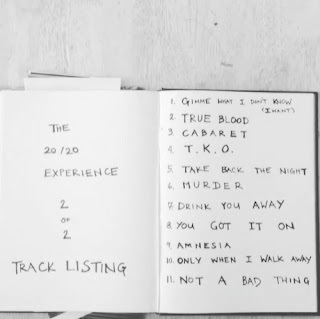 The 20/20 Experience (2 of 2) : Track listing. They say "two is always better than one" and according to what the subject at hand is, this can vary. 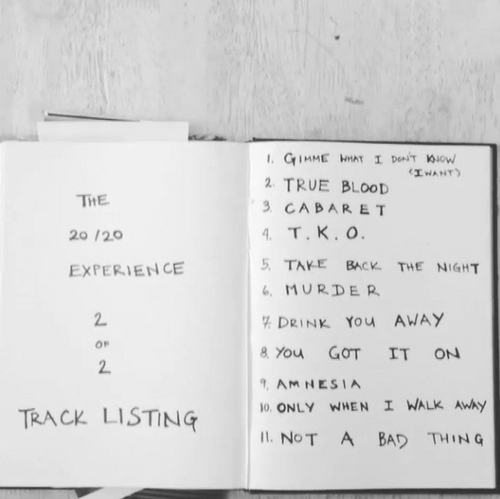 Justin Timberlake put out some of his best work with "The 20/20 Experience". So what does he do? Goes on tour with Jay Z, goes on every possible talk show, makes some music videos and along the way outs out part two. Wait what? Yes, just a few months after releasing his much anticipated 3rd solo album, JT is about to hit us with some more music. Can't wait. Please make sure you keep an eye and ear out for "The 20/20 Experience (2 of 2)". Here is the track listing. Enjoy.